George Godwin has invited me to write about my time as a student in Cinema Studies at New York University during the years 1978 to 1980. In two earlier installments I wrote about my class in British cinema from the Second World War up to the mid-1960s taught by William K. Everson. I concentrated then on some films we watched in class; here I want to discuss the class more generally and in particular a movie a few of us saw outside the classroom. 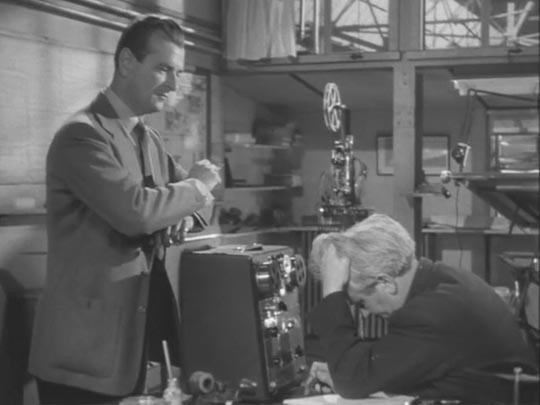 Everson’s standard practice was to screen extracts from 16mm prints of feature films – usually not less than 20 minutes but rarely more than half an hour, the variable length of a single reel. Every movie came from Everson’s own collection, a treasure trove which he had begun collecting in England before the Second World War when he worked as a publicity manager for the production company Renown. He also operated several film societies and wrote film criticism, activities which generated sheaves of program notes and a shelf full of books. The print collection grew when he emigrated to America in 1950 for a publicist’s job with Monogram Pictures, later Allied Artists. Everson was part of that generation of American cineastes – including the amateur film buff par excellence Theodore Huff, the historian Seymour Stern and critic Herman G. Weinberg – who with archivists like Iris Barry of the Museum of Modern Art film department were so essential to the preservation and appreciation of American movies. I was not unfamiliar with British films when I registered for Everson’s course but as it turned out, my knowledge was patchy, my viewing rather shallow. The key British films of the angry young man school of the late ’50s and early ’60s – I won’t rehearse the titles here – were important vehicles in informing my aesthetic norms. I favoured realism or at least what I understood that term to signify and these British movies by Clayton, Richardson, Reisz and Schlesinger complemented what I appreciated in American films by the likes of Ritt, Lumet and Frankenheimer. The actors in the British movies were younger, less conventionally good-looking, closer to the bone than the ones I could (and can) still recall fondly from Ealing comedies and British war movies I’d seen. 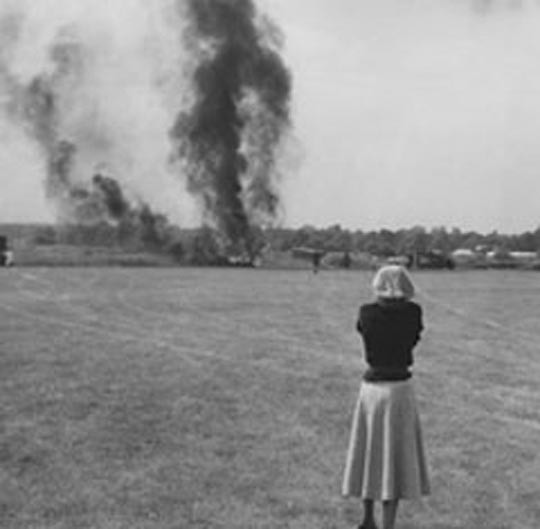 Everson’s course outline was highlighted by films that I had read about – in Raymond Durgnat’s A Mirror For England or Penelope Houston’s The Contemporary Cinema – but had had fewer television showings. My notebook from the class, now missing its back cover, lies on the desk in front of me. 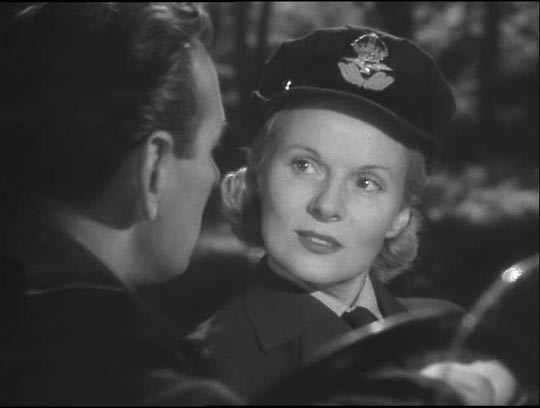 The films of which I speak have two or three pages of notes each: The Spy in Black (1939), Night Train to Munich (1940), Love on the Dole (1941) – about which I’ve written in this column – Went the Day Well (1942), The Way to the Stars (1945), I Know Where I’m Going (1946), It Always Rains on Sunday (1947), Waterfront (1950), Outcast of the Islands (1951). Each of these films made a strong impression and some I could catch in full, usually on double bills at rep houses in New York, at the Bleecker Street Cinema in the Village near NYU or downtown at the Little Carnegie. As a few of these titles suggest, Everson’s class revealed that a kind of northern realist style – still lacking the full expression of on-location photography and authentic working-class elocution – was evident as early as the Second World War and the post-war period. But Everson also showed rarer movies – films from smaller companies, some made on B budgets starring lesser-known actors. 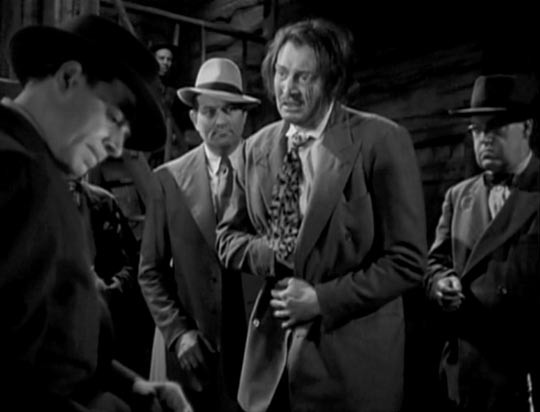 These include The Face at the Window directed by George King and starring the doyen of grand guignol, Tod Slaughter; the early Ealing war movie Convoy by Pen Tennyson, whose promising career was cut short by his death in combat; Rodney Ackland’s Thursday’s Child, with its letter perfect portrait of British middle-class life; the notorious but clumsily directed faux-American gangster film No Orchids for Miss Blandish; and the more interesting Fanny By Gaslight, one of the best of the Gainsborough studio costume melodramas. 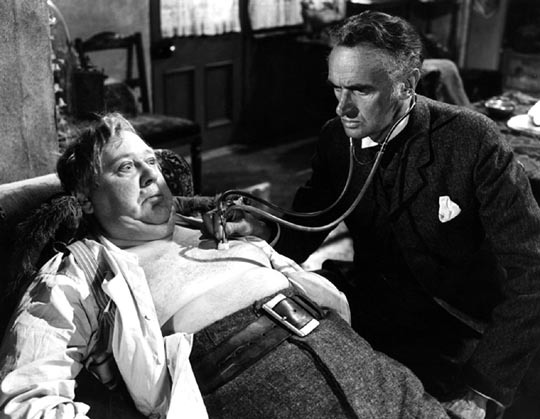 These films and others conveyed the variety, vitality and popularity of British cinema, especially in the period after the war when an escape to the cinema assuaged an austerity still governing the economy. Towards the end of term Everson invited a few of us in class to his apartment. I was excited to go, anticipating the opportunity to see a movie in full and the interior of an Upper West Side Manhattan apartment. I still have the address in my notebook: 118 West 79th Street, apartment 3B. The apartment turned out to be modest but singular: the focal point of the living room was two rows of attached theatre seats in front of a screen, the curtained window (no view, unfortunately) behind it. Along the wall behind the seats was a dozen or so film containers made from hardened cardboard reinforced with metal hinges at the corners, the lids snugly fitted with cloth straps and a buckle. I recognized these containers right away because I had picked up identical ones ten years before at Winnipeg’s Victoria Shipping (on William Avenue) when I booked films for the University of Winnipeg film society. Everson’s object that evening was to show a couple of features in total; hence the niceties of the gathering were brief. Mrs. Everson – Karen Latham – served tea, then retired to another room. The projector was ready to go. Everson wanted us to see David Lean’s The Sound Barrier from 1952 to be followed by Henry Cornelius’s Genevieve from 1953. I had seen neither and I doubt if the others – I was the oldest – had either. At first the projector behind us made a clattering sound but gradually as our eyes became concentrated on the screen before us and our ears attuned to the film’s distinctive soundtrack, the projector sound diminished to a low whirl. It was not an occasion in which to make notes and besides I hadn’t brought any paper with me. As I write about it now I’m combining my initial impressions in a kind of dialogue with a fresher screening of the DVD from a package assembled by Lionsgate which includes three other British films of the Second World War. 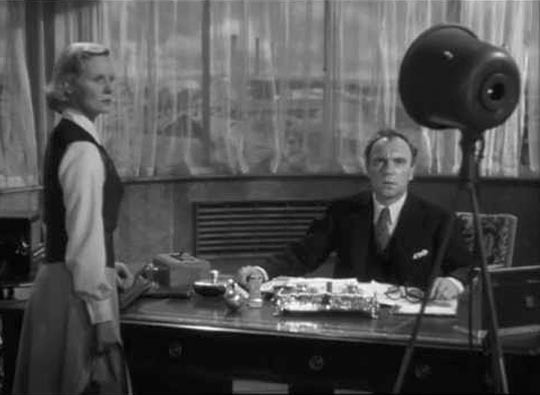 The Sound Barrier initiated David Lean’s move from the Rank organization where the director had made the box office failures The Passionate Friends (1948, from H. G. Wells) and Madeleine (1949) under the overly controlling hand of John Davis, to the more congenial environment of London Films under the veteran producer/director Alexander Korda. 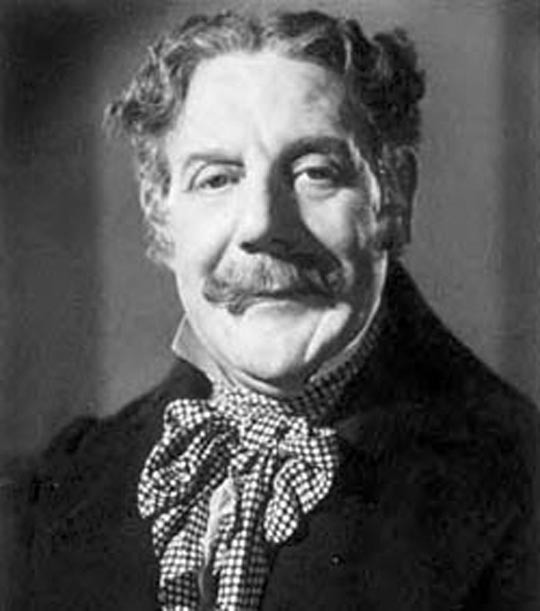 It was Korda who suggested the playwright Terence Rattigan, then in his prime with plays like The Browning Version and The Deep Blue Sea in London’s West End theatres, to write the screenplay. Lean researched the subject of jet aircraft design and test piloting himself, visiting both the de Havilland and Rolls-Royce plants. No doubt this research contributes some documentary flavour to the film but Lean and Rattigan make sure that The Sound Barrier exudes a robust high-toned Englishness visually and verbally. 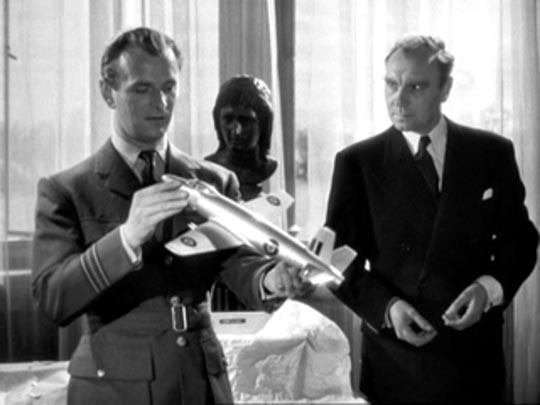 Cleverly, here Rattigan has the baton of the film’s action pass from Philip to Tony, who as the fiancé of Susan Ridgefield (Ann Todd) is the link to the key figure in Lean’s drama of man and machine, ex-First World War pilot and now aeronautical industrialist John Ridgefield (curtly referred to as JR), Susan’s father. (Ralph Richardson’s performance as Ridgefield recalls his Doctor Sloper in Wyler’s The Heiress but in a more nuanced key.) Introduced emerging from a Rolls-Royce, JR is a man of vision but aloof determination, a father who presses his son to the war effort and his daughter to her mind’s breaking point. Rattigan embeds the story in a multifaceted father/son conflict with the daughter as ongoing interlocutor. 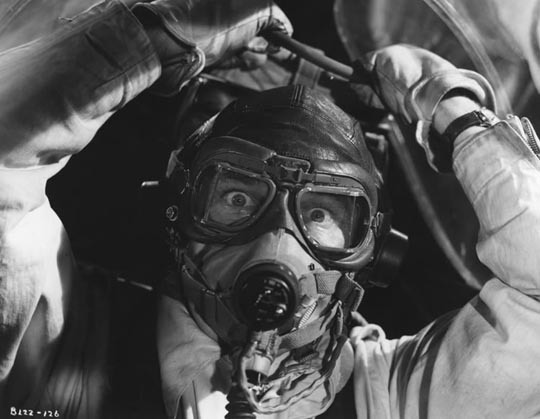 Ridgefield’s son Christopher (Denholm Elliott) admits to his sister he suffers from air sickness but is resigned to earning his wings to gain his father’s respect. Lean films the crash of Chris’s test flight from the father’s distant perspective. 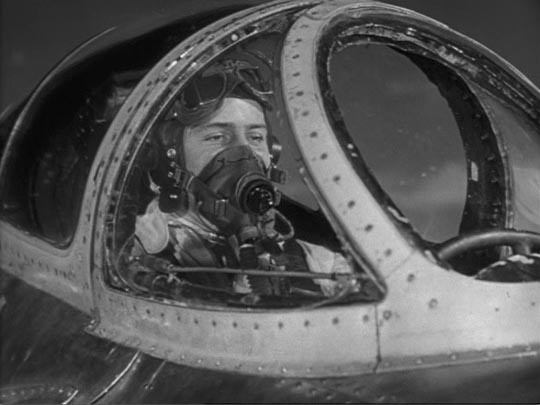 JR’s unsentimental response to the event: “It [the plane] needn’t have caught fire at all if he’d only switched off” – perhaps acknowledging his son’s death wish – wounds Susan and signals that when Tony becomes JR’s son-in-law by marrying Susan, he also becomes JR’s true protégé. The Sound Barrier will be a story of sacrifice as much as triumph. There comes that point in the story where Philip, invited to dine with the now widowed Susan, announces the following: “He [JR] asked me to take the Prometheus up and reproduce the conditions under which Tony crashed. Pass the bread, please.” Susan is appalled – leading to a major break with her father – but Philip is made of more sensible stuff than Tony. He’s immune to the blinkered vision of his friend and former comrade in arms; Philip is an improviser who represents a newer generation of English adventurer. 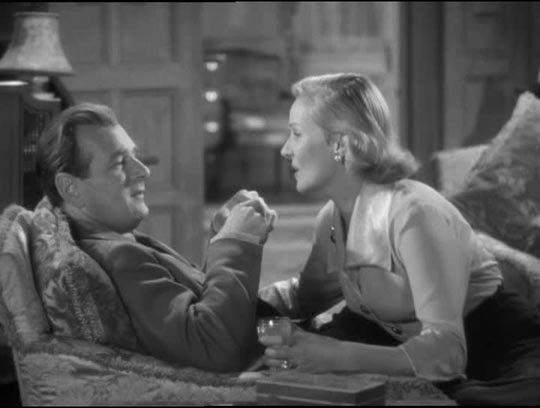 I have greater tolerance now for Rattigan’s dialogue and Lean’s direction than I did that time at Everson’s apartment. (Terence Davies’ recent adaptation of Rattigan’s The Deep Blue Sea had me in thrall.) There’s no doubt Lean is a consummate artist, always transforming the action with light and shadow, judicious camera positioning and alert editing. 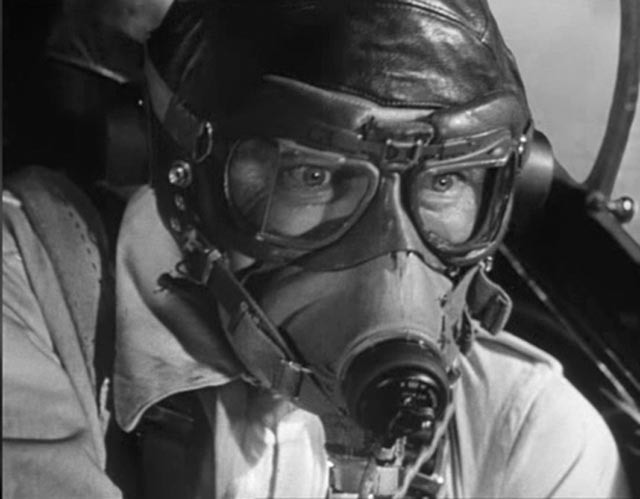 One startling example: in the middle of the honeymoon sequence when Tony and Susan fly to Cairo by jet – an episode treated unfavourably in both Durgnat’s and Pauline Kael’s short review of the film – Lean interposes a stunning shot of mute Egyptian statuary set against the 20th century roar of an overhead jet. Furthermore, although not usually recognized as a filmmaker with a tender touch, here, with the assistance of Rattigan’s words, Lean is able to fashion a reconciliation between father and daughter that is very moving. As I hope these notes suggest, Everson’s class enlarged my appreciation of British movies to include a period of production when national character found unusually strong expression. In this, Lean’s movies are joined by the acerbic yet delightful comedies of Robert Hamer and Alexander Mackendrick, the stylish Cold War era thrillers of Carol Reed and the sublime dramas of Powell and Pressburger. The northern realist films, as startling and perhaps necessary as they were in regards the foregrounding of working-class characters and location photography, seem now a little thin beside those of the earlier generation. 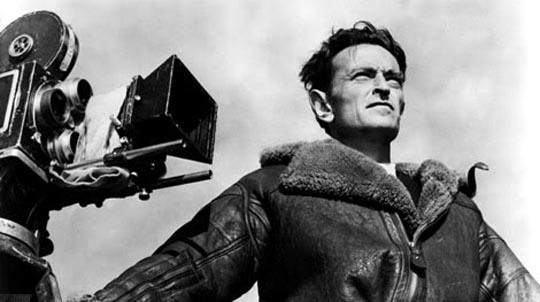 Curiously, Lean himself joined a number of others, accomplished artists like Reed and Mackendrick, journeymen like J. Lee Thompson and Michael Anderson, in making films more in line with the Hollywood model for an international audience. Following Hobson’s Choice (1954), Lean ventured to faraway places. This change would be one of the key topics of the second half of Everson’s course and can perhaps be the subject for another guest column. This entry was posted in Commentary, Review and tagged British Film, Directors, Film Criticism. Bookmark the permalink.